So, even though it may feel like Christmas around here in Pennsylvania it’s still missing one thing…snow! It’s literally been in the 60’s and 70’s here the last week so while we’ve been dreaming of a white Christmas, we started some snowman crafting to hold us over. 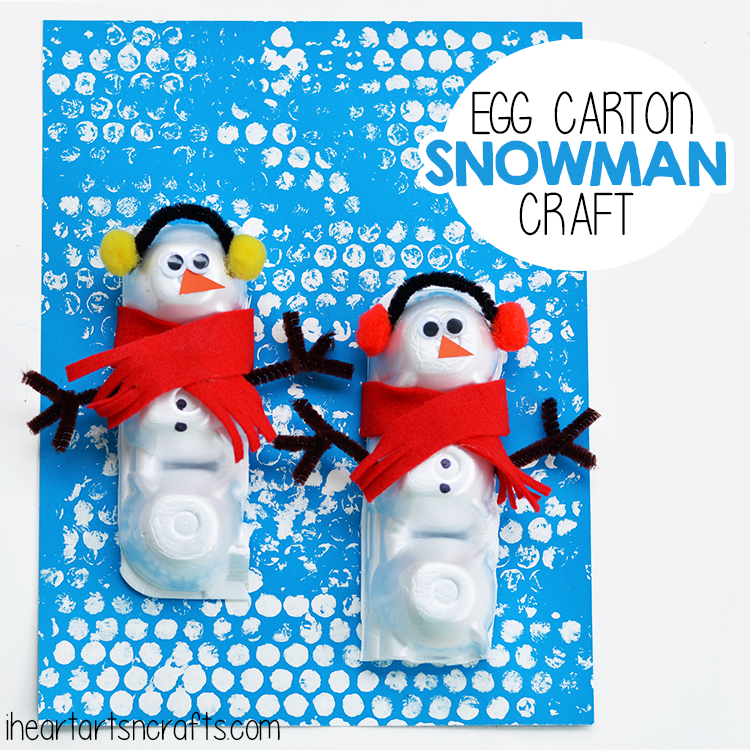 Today I’m sharing an easy snowman craft that’s perfect for recycling those old egg cartons! 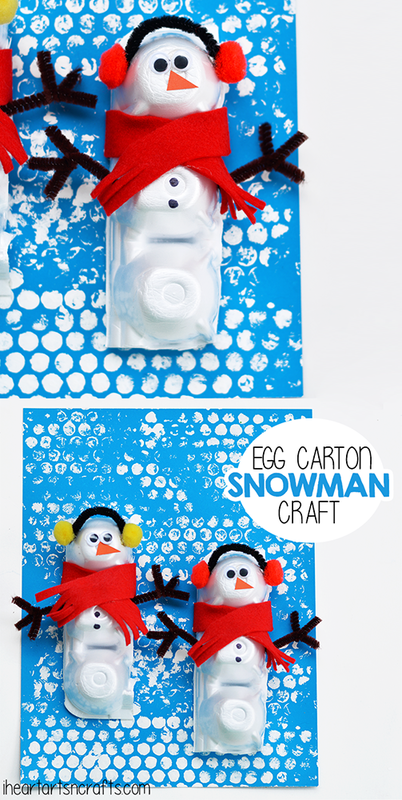 This post is part of the Kids Craft Stars monthly challenge, so be sure to check out some of the other creative snowman crafts at the end of this post! Or tag us on Instagram with the #kidscraftstars hashtag to share some of your favorite snowman crafts. First we took a blue piece of card stock paper and started painting our snow. 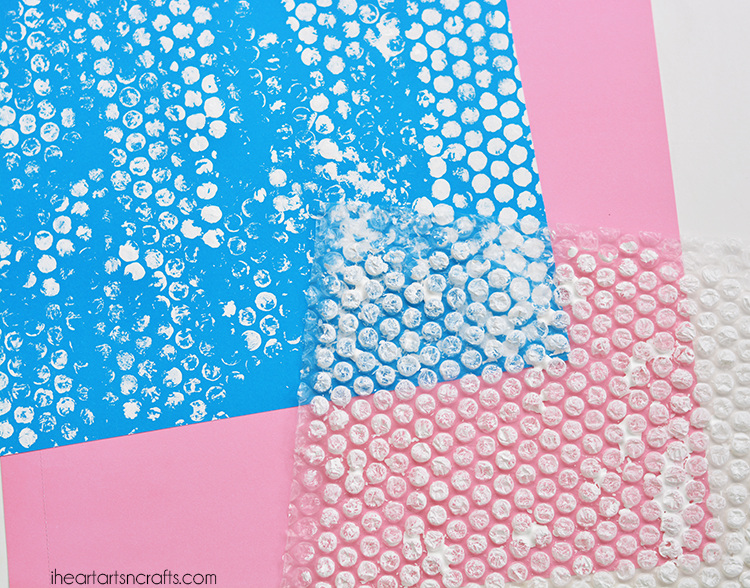 You’ll want to take your bubble wrap and paint it white, then you can use it as a stamper to create a snowfall background. The kids love stamping this and popping the bubble wrap as they paint! To start the snowman you’ll want to cut three egg cartons, if your egg carton isn’t white you can paint it before you get started. Then set out some things to use to decorate your snowman, we used googly eyes, felt for a scarf, buttons, and we cut a nose from card stock paper. You can also take a pipe cleaner and glue two pom pom balls to the ends of it to create earmuffs. 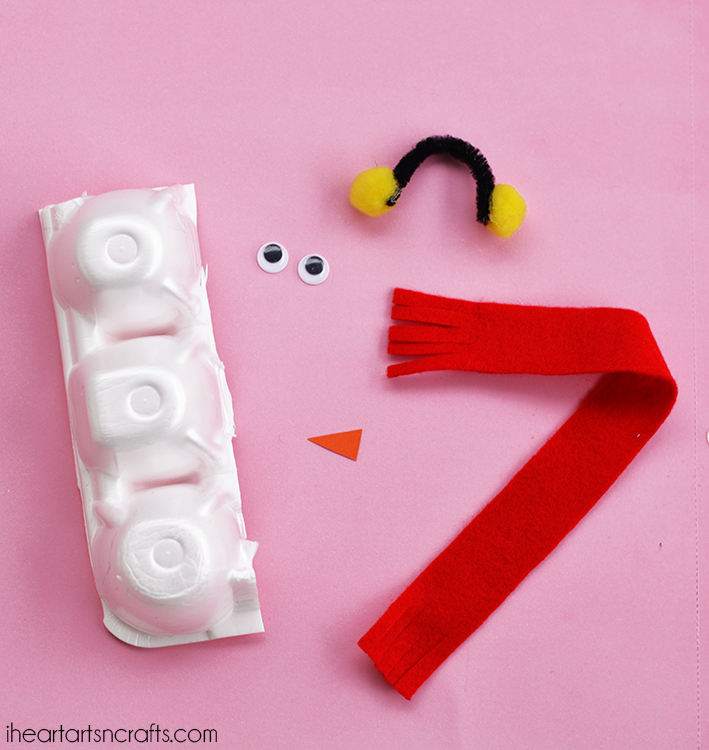 Once you’ve dressed your snowman up you can insert pipe cleaners into the sides of the egg carton for arms. Then glue your snowman down to your card stock paper and your done!